A quick look around the chain stores this season tells me that we are in serious trouble: almost everything is synthetic. I spend most of my time in Asia, so the idea of wearing anything synthetic in hot and sticky cities makes my flesh crawl. It’s not just this season, a sinister synthetic movement has been creeping up on us for years and I have, on my travels, spent my time researching where to find clothing made of natural fibres. I usually stick to wool, silk, cotton and linen, although I am partial to the odd hemp or bamboo item. It’s getting harder and harder to find such clothes for under $300 an item, so most people are forced to go for synthetics. Dorothy Perkins, Zara, Desigual, Armani Exchange, La Senza, Marks and Spencer and Mango are showing signs that the eco-friendly shopper is going to have a hard time. Thanks to Banana Republic for introducing a few more silk and cotton options for summer as winter was painfully polyester and I still feel BR need to increase the natural fibres a bit more – but a few items are still better than none. The one and only advantage of polyester and it’s ilk? It’s cheap. Lowers costs are all that this eco-nightmare, the North Korea of the fabric world, has to offer. Viscose tries to fool us into thinking that it’s just as soft as cotton but it’s not. Acrylic jumpers give me a rash. Yes… I do know about this recession – we have no money, life’s so hard, no one can afford pure silk, we’ll be forced to eat our own children by 2018, blah, blah… I have a radical solution to this problem, tell me what you think of this one: have five beautiful, well made cotton, linen or silk shirts instead of buying twelve synthetic ones that feel dreadful and release micro plastics into our waterways with every wash? Do you really want to be wearing chemicals next to your skin and perspiring rancid plastic sweat all over your fellow citizens of the earth?Just a thought. I am going to rebel. This season I am not buying anything – except natural fibres. If you are in the following places, head on down to these stores to pick up some natural fashion and feel good about being a consumer. France: Comptoir Des Cotonniers, Zadig et Voltaire are the purveyors of upmarket pieces that will last for many seasons to come. UK: American Apparel, People Tree (cotton and sweatshop-free labour. Why don’t more companies follow this trend? Get it together, H&M! I’ll pay the extra $10 per item to eradicate sweatshop labour in Bangladesh!) For shoes made of the finest natural fibres Penelope Chilvers has beautiful riding boots and espadrilles. I don’t own any but I feel that they should make my shopping list. Singapore: Zhai is Singapore’s Eco boutique which carries quality bamboo cotton clothing in every style – perfect for business or casual attire that is light and cool. Club Street is home to ANA, a cool boutique with Australian and international labels – there is always some silk and cotton available. Etrican is a Singaporean company that uses organic cotton, recycled material and is active in community involvement. You can buy their products from the Zalora website. Finally, the Island Shop chain store, with outlets in Tanglin Mall, Clarke Quay and the Tang’s department store on Orchard Road. Island shop stocks trendy linen and cotton clothing every season – always in a range of beautiful colours and modern designs. Japan: Muji and Uniqlo – there are always synthetics in these places but also a good selection of cotton, linen or bamboo cotton. The Japanese stores carry special lines unlike the international outlets. 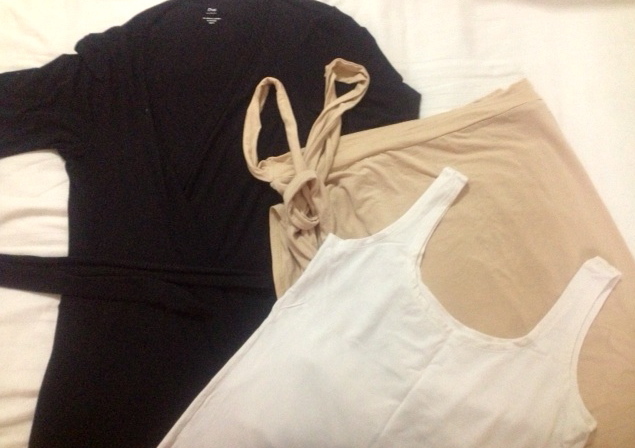 Australia: Witchery and Billabong (also available in Singapore, New Zealand, etc.) never let me down. Witchery stocks silk, cotton, wool and linen numbers every season for as long as I can remember. Well done! Billabong is famous for surf and beach fashion, good cotton casuals Apple & Bee are Australia’s leaders in modern, cool eco-style and they are a nice, responsible company. I often buy their very cool totes for gifts, they are always appreciated by the recepient, so improve your karma and ditch those pleather bags! Apple & Bee even have stockists in Japan and ANA in Singapore sells them too. Hedrena is an Australian company that makes sustainable merino wool clothing and underwear. Merino wool is a “superfibre” that keeps you both warm in winter and cool in summer, so they have many trans-seasonal numbers – perfect for travellers. UAE: Tory Burch and Cotton On – something expensive, something cheap, we have ying and yang here. Hong Kong SAR: Shanghai Tang is my favourite shop. In the world. It’s very expensive and very chic. Cashmere and silk are always de rigueur at this beautiful store with outlets all over Asia. Let’s not forget Esprit – I have been wearing Esprit’s comfortable, hardwearing denim and the cotton tees since 1997. It’s probably time for a change but thanks for the memories and this year’s cotton knit cardigans. There is always a handful of shops where you can dodge the polyester: some reasonably priced but most of them are very expensive. Silk and cotton aren’t cheap anymore. I try to look in on the sales when I have a chance. I only own about seven non-work blouses, most of them are over 2 years old, and that’s it. They are silk or cotton, so I have to handwash many of them. I take care of them so they last well – I have some that are six years old – which is another step towards environmental sustainability and good for the cheapskates out there too. There is some debate over the status of bamboo as an eco-friendly fabric, which I have been drawn to for it’s luxurious, comfortable softness. On one hand, the fabric is made from a plant which doesn’t really require pesticides and is easy to grow. Bamboo is sustainable and easy to grow. Bamboo is anti -bacterial, anti-fungal and breathable. It’s also biodegradable. On the other hand, production of the fabric requires a lot of water and very few producers use eco-friendly chemicals in the production of bamboo fabric.It’s also made in China, where labour standards aren’t up to scratch. I will leave you to make up your own mind on the bamboo issue. Happy eco shopping! I just use the standard themes on wordpress, set up an account – it takes 15 minutes! Anyone in need of natural fibres this summer?